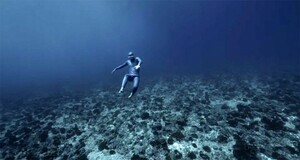 Incredible footage of freediver Guillaume Néry coasting upright through the underwater currents of Tiputa Pass northeast of Tahiti. Filmed late last year by director and underwater camera operator Julie Gautier. More detail and behind the scenes footage here. And if you like that, you should really check out Néry’s underwater BASE jump at Dean’s Blue Hole in the Bahamas from 2010. 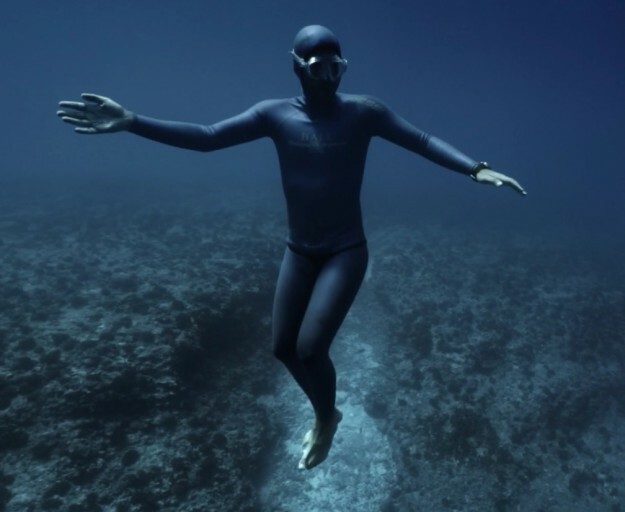 Posted in Sports, Video and tagged current, freediver at 12:59 pm on February 2, 2015 by Broadsheet. That is the most French thing I have ever seen. the Base Jump is my all time favourite Youtube video. Astonishing piece of film. Everything has to be amazing now.